The impending 3:10 pm at the dentist for an unwelcomed root canal loomed as I internally persuaded myself to use the Starbucks gift card that sat unused in my wallet to treat myself to a venti dark roast. As I pulled up to the window I saw the latest cold insulated cup with a blue sticker on it that had two words that I have been thinking about for a long, long time. 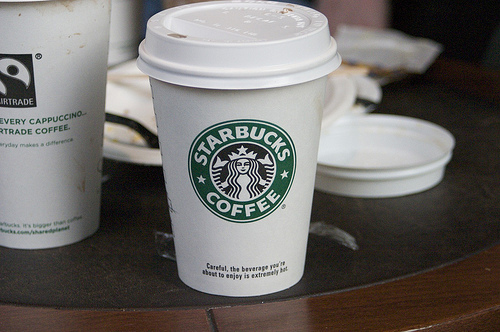 The blue sticker attached to the new Starbucks drink cup said in English “Double –Wall INSULATED for a cold drink and dry hands” and in Spanish – ISOLATION a doule paroi pour des boissons froides et des mains seches. Those two words struck me as being similar but in many ways worlds apart. My Barista did not know what to do with me when I asked her if I could have the sticker for a blog I was writing but she gave it to me. So here is the point that has an impact on those who are next to lead. Christian parents often struggle with a choice as they raise their kids. Do they isolate their children in efforts to completely separate them from the world or do they insulate their children from strategic events or environments that they deem not age appropriate and strategically harmful? The difference seems subtle but the difference makes all the difference in the world and in The Kingdom. Some parents of Millennials have chosen to isolate their children through home schooling and hand crafted play groups to protect them from culture which they see as evil. This first came to my attention in Richard Niebuhr’s book Christ and Culture and then later was the focus of Hara Estroff Marano’s Psychology Today Article “Raising a Generation of Wimps” . I am excited to see how God will use the Millennials to be engaged with culture and to be about His bringing the Kingdom on Earth as it is in Heaven. If this thought resonates with you, then all I have to say is … Keep up the great work!